Well the rumours were true. After the Apple website was down this morning amongst rumours of a new released of the shuffle, out it comes. 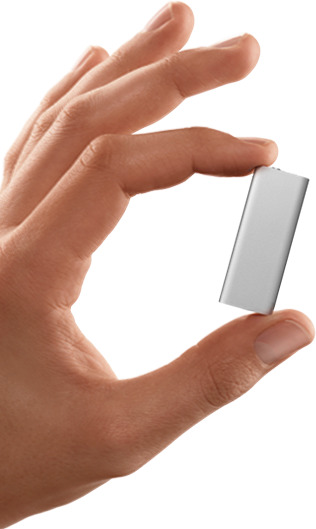 The new 4 GB Shuffle is as small and sleek as you would expect and it includes new VoiceOver which with the press of a button, VoiceOver tells you what song is playing and who’s performing it. it will also tell you the name of the playlists too. No UK release date, but hitting the US at $80.